Questions and Answers about “Aham brahmāsmi”, Ego, Humility, Karma, Good Karma, Ātma, and Brahman, from chapter 13 and 8 of Gītā. QUESTION: If Prakriti is changeable then why can’t we change the situations that emerge for us? Remember chapter 8, bhūta-bhavodbhava-karo visargaḥ karma-saṁjñitaḥ – “karma is the immediate cause of all manifestations.” You change your manifest reality by changing your karmas. You can’t change the karmas you have already performed – so you can’t change the results they have already produced in the world. But you can change the future shape of the world. QUESTION: If spirit doesn’t change with whatever happens in the matter then why does all Yoga practices have regulations as the first step? It is not that matter has no effect on spirit. It is just that matter cannot permanently change the fundamental nature of what spirit is. The goal of yoga is to free spirit from matter. Therefore the yama and niyama are there to regulate its participation in matter. QUESTION: Can the mind’s desirables be different for different individuals? Is that the reason pigs like stool and we despise it? But if all consciousness is same why in the first place this be so? We are ātma, that is why we all have different natures, and thus different karmas, and thus we produce different bodies with different desirable objects. QUESTION: Even hunger is in the Prakriti, so that means the motivation for doing things is external to us. If that be so then how come the spirit becomes enjoyer or feels distress? Consciousness has the nature of projecting itself into vehicles and tools of experience. Even when watching a drama, a play, or a movie, we can feel that sometimes, when the drama is very good, our own consciousness has projected itself into the character and we are crying or trembling as they would be. And we are wanting the things they would want. QUESTION: Where does the first will come from that generates Ahamkara? The svabhāva of ātma is the real basis of ahaṁkāra. In other words, the intrinsic individuality (svabhāva) of a conscious individual (ātma) is the real basis upon which selfish ego (ahaṁkāra) is built. QUESTION: You explained that consciousness by its very nature is either bahirmukha or antarmukha. Bit can it also, at the very beginning, be Brahaman oriented, neither oriented towards Bhagavān [antarmukha] nor towards Maya [bahirmukha]? Then it would not be ātma, it would be brahman. The ātma has subjective individuality as part of its inherent nature (svabhāva). There is no subjective individuality in brahman. So, consciousness that intrinsically does not identify with any subject or object is not ātma but brahman. It is not an individual entity. QUESTION: Can you explain “nirgunatvat” a little more? You had said it means, “beyond limiting qualifiers.” But then even beyond limiting qualifiers it remains “I”, so how can being “I” be beyond limiting? If we explore it, we will see that a sense of “I” which is pṛthaktva (disintegrated from the whole) produces a reduction and limitation on the ātma. Conversely we can see that a sense of “I” which is integrated with the whole produces infinite expansion and non-limitation of the ātma. QUESTION: Where does “Aham brahasmi” fit, in relation to Ahamkara and Aham-Artha ? Ahaṁ brahmāsmi is a statement from Bṛhadāranyaka Upaniṣad, which Śankarācārya declared a “mahāvākya” (super-important statement). It is an encouragement from the Upaniṣad’s for the ātma to seek something better than what can be produced in matter by its karma. Advaita-vāda misinterprets it to mean that there is no ātma, only brahman. But this requires that they downplay the presence of two individualizing components of the sentence: the pronoun “I” (ahaṁ) and the individualised verb “I am” (asmi). Our understanding of the statement is that the ātmā will feel more at home in the antarmukha/brahman realm (“spirit”) more than it will in the bahirmukha/prakṛti realm (“matter”). QUESTION: If humility is the first step in education, then a person in Knowledge should also be humble. Can we use this criterion to judge if someone is truly knowledgeable or is just puffed up with his education? But be careful with your evaluations of others, for you may not be fit to judge. If you yourself are not humble, you may not be able to recognize true humility from counterfeit humility or might even mistake it for non-humility. QUESTION: What could be the starting point to even comprehend the amazingly diametrically opposite qualities of root consciousness, paramatma? Can we say that his qualities are not like ours or should we comprehend them to be much beyond that of ours? In the face of such śruti why would you say that you are not like him? That would be a contradiction of śruti. You are like him, except that he does not have the flaws you have. He has your essential qualities, but not their flaws, because he has no ignorance. QUESTION: Should we understand that Bhagavan has no material qualities or should we understand that He possesses trans-logical qualities? Bhagavan’s qualities cannot be fully put into words, but it doesn’t mean they cannot be partially described. By partially describing them, the heart goes to him, and then, by direct experience granted by his loving connection to us, we comprehend the full Bhagavān directly, in prema. QUESTION: If I am experiencing happiness most of the time, then how do I understand that my egoism is FLAWED? If you are experiencing happiness from your karma, then you must be doing good, non-egoistic things. Keep doing them. 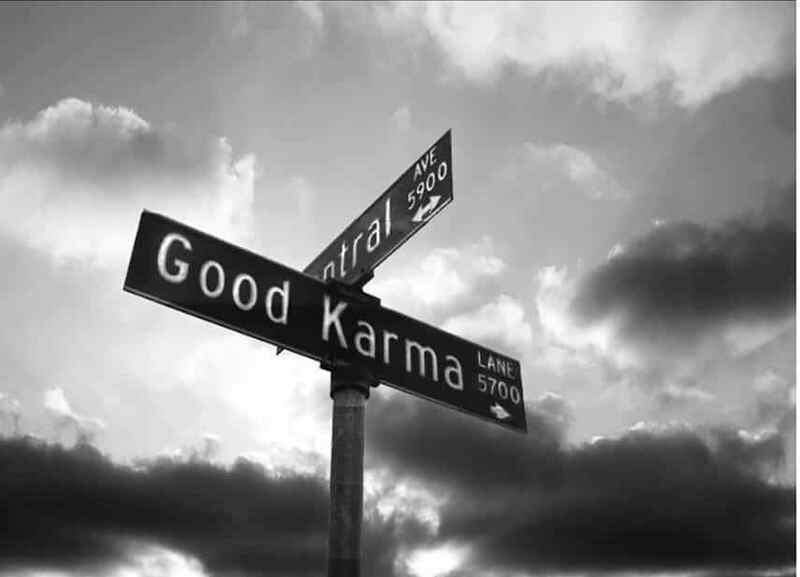 That is how good karma helps us progress. But if you are wise, you will not find the results of karma to be very enjoyable because even when they produce their best possible results they generate fatigue and worry about protecting and maintaining the result, and require some work to create. Previous Are the Vedas Literal or to be Interpreted?